It’s not every day that 7th and 8th-grade scholars from Camden find themselves face-to-face with a legendary Philadelphia phenom, but on Friday, January 15th Freedom Prep scholars had just that. 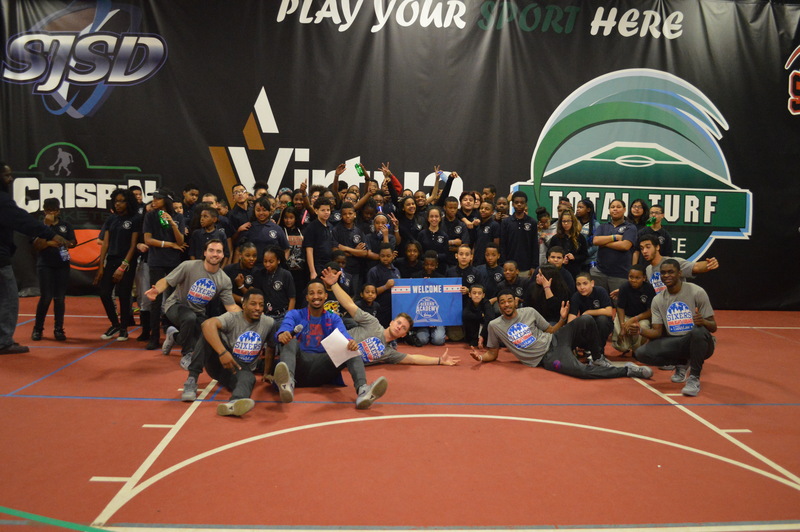 In an event hosted by Virtua Health at the Total Turf Experience in New Jersey, Virtua and the 76ers presented the Sixers Academy, the first of 3 community-based clinics this year. The message was a slam-dunk for Freedom Prep scholars and the message hit home for all in attendance about the importance of working together to overcome adversity, which was visible on the court as scholars competed with the 76ers Flight Squad in an array of games that required them to work as a team. Along with the motivational words from Philadelphia icon World B. Free, scholars also had the privilege of a Q&A session with Virtua’s Sports Medicine Program Manager, Paul Kasper, teaching kids about wellness and the benefits of a healthy lifestyle. All in all, the event was an immeasurable inspiration and an experience that Freedom Prep scholars will carry with them in their successes, both on and off the court! Mike Christiansen is a sixth-grade grade reading teacher at Freedom Prep Middle School.